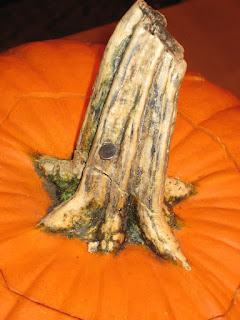 Yes most people carve pumpkins and we are most people. Yesterday we introduced our little one to the annual event. 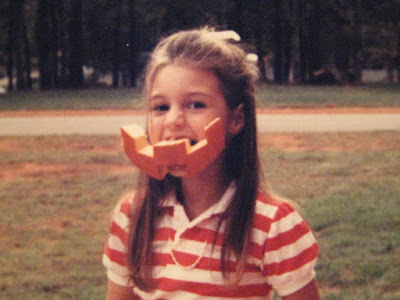 What makes us a little different is that we all get our picture taken with the pumpkin mouth EVERY year! 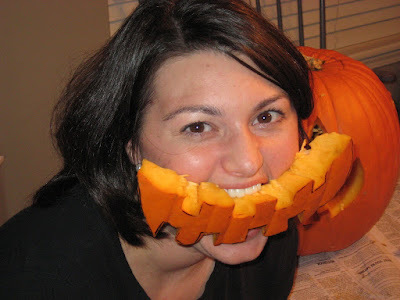 Me this year! And believe me we have a picture of every year in between. 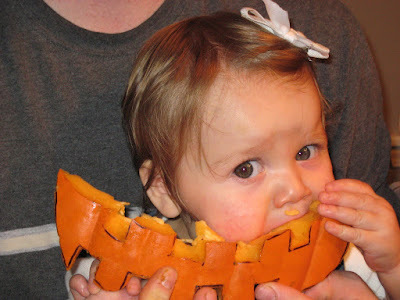 Savvy didn't seem to have any trouble sinking her teeth in! 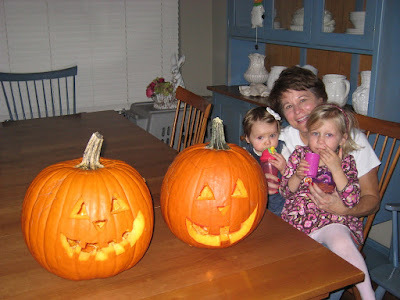 (Savvy, her Bebe, and her cousin)The pumpkins turned out pretty cute too! 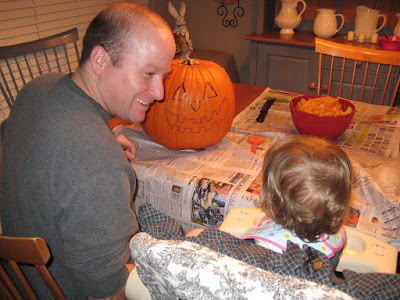 Does your family join in the carving tradition?